When it comes to digitizer tablets, the name Wacom would surely resonate with many of us, especially artists who have taken to the stylus like a duck to water, instead of relying on the traditional pencil and paper methods. Having said that, Wacom has a couple of new Bamboo styli for you to consider – the Bamboo Stylus solo and Bamboo Stylus duo. Both of these will arrive as second-generation and improved versions of the popular range of digital styli which was originally rolled out back in 2011. The Bamboo Stylus solo happens to come across as a stylus that will cater for touchscreen devices such as the iPad, where it sports a protective cap for the rubber nib this time around. 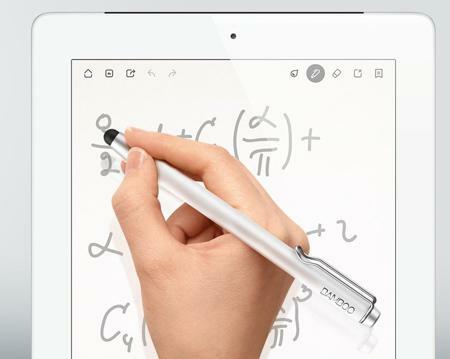 As for the Bamboo Stylus duo, this is a two-in-one solution that comes with not only a stylus for touchscreen displays, but also caters for those unexpected moments when your John Hancock is required, hence a ballpoint pen function is also thrown into the mix for good measure. Both the Bamboo Stylus solo and Bamboo Stylus duo have been described to offer a best-in-class pen-like experience, sporting an elegant, premium design. Your eyes will definitely be taken in by the soft touch paint located on the barrel as well as the color-coordinated, polished anodized aluminium cap that will set these styli apart from the rest that you can find in the market. Wacom knows that everyone has different tastes, which is why they have launched either version to arrive in a slew of colors to fit just about any mood, while maintaining a black and a white version for those more serious moments. Not only that, your writing and drawing experience should also go up by a notch, as it comes with an even slimmer rubber nib that measures just 5mm, with the body of the stylus feeling solid and balanced in hand. Those who are interested in the second-generation Bamboo Stylus solo and Bamboo Stylus duo will have to fork out $19 and $29, respectively, as they arrive to the market later next month.